These MBA Insider tips were provided by Stacey Kammerdiener, Senior Full-Time MBA Admissions Officer. Your best chance at successfully answering this year’s Full-Time MBA application essays comes from approaching them thoughtfully. The purpose of these essays is to understand why you want to attend Texas McCombs, and to learn more about you as an individual. With a genuine goal of authenticity and the tips below, you will be well on your way to submitting a strong application. recommendation. We want to get to know you further. Please introduce yourself. Practice patience. Take time to reflect and edit, edit, edit! It will likely take more than one draft to nail it. Be honest. These essays are our way to learn more about you. Our students value authenticity and we look for essays that reflect your authentic self. Have someone read over your essays. They can provide valuable feedback, and may give you a fresh take on what makes you special. 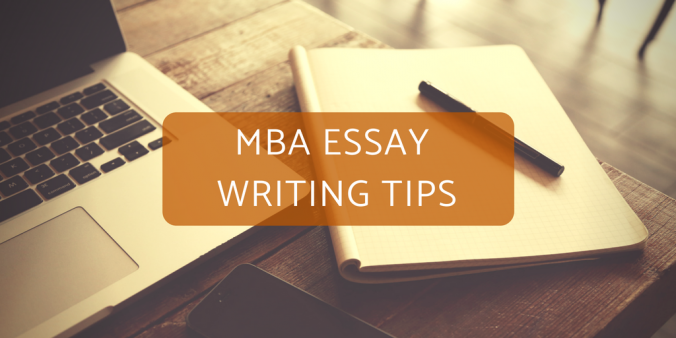 Do not send the same essay (or parts of essays) to multiple business schools. We can always spot recycled content. Do not ignore the essay prompts. If you bypass the actual questions in an effort to tell us something you think we want to hear, you will not provide the information we are looking for. Do not dress up your experiences in extreme language (trying to be shocking or add a “wow factor”) or go past the word counts or time limits. We are looking to see if you can follow the instructions given and stay on prompt. Please send us an email if you have any questions about your application. Good luck and happy applying!